I am grieved by the news that this fine young man died yesterday of Brain Cancer and it stunned and saddened me a great deal. Before I took to painting, before I gravitated to making art, I was deeply passionate about those serving, and about veteran and military family issues. I was political and I was an activist. Some might say I was rabid. I had good personal reasons for doing so: My two sons served on the front lines in the war in Iraq and it was plain that the Bush Administration worried about funding for the war but not for the care the veterans of that war and the war in Afghanistan would create. We’ll leave the decision to go war in itself for another discussion. Our veterans returned home from both wars to an overburdened Veterans Administration. That’s putting it mildly. I became a founding board member of a national advocacy group lobbying for more attention for our veterans, those serving, and their families. During my efforts, I had the chance to meet several members of the Biden family, including Beau who proved himself a tremendous advocate of our Veterans, those serving, and their families. I am deeply touched by Beau’s passing. He seemed like such a genuinely decent human being. Someone more concerned about righting wrongs and addressing issues than exercising power for ego’s sake. Too soon. Too damn soon! 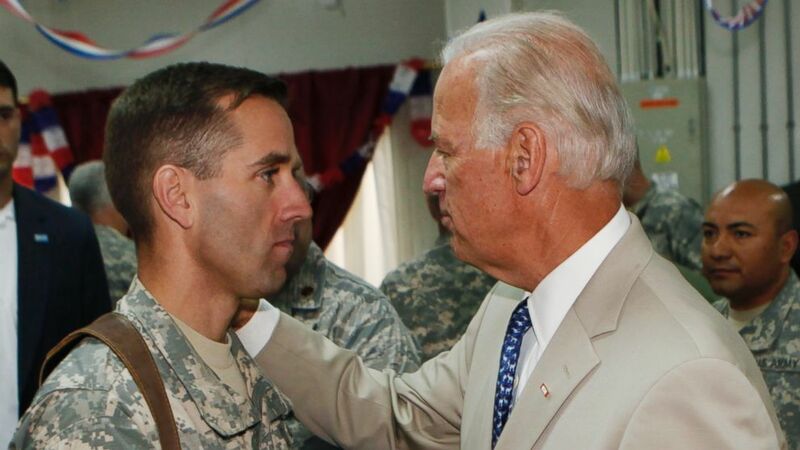 My deepest condolences go out to the entire Biden family and to those who knew and worked closely with Beau. May you all find solace in the fact that Beau touched so many lives in such a good and decent way. This entry was posted in Art Therapy and tagged Beau Biden, Iraq War, Military, military families, veterans, Veterans Administration. Bookmark the permalink.